Scams come in all shapes, sizes, and levels of sophistication. However, they all share the common goal of identifying a victim's points of vulnerability and exploiting them to make money. Scammers are either trying to get directly to their victim's money, or they are after the victim's identity to set up fraudulent accounts. Either way, the victims are the ones who pay the price. DO NOT use the telephone numbers, email addresses, or website addresses provided in an unsolicited contact to verify the validity of the information provided. Independently verify contact information through several sources before responding. 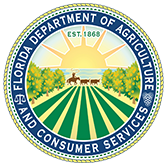 Check a company's complaint history at www.FloridaConsumerHelp.com under "Business/Complaint Lookup," or by calling 1-800-435-7352. If the business is regulated by FDACS, be sure to find out if they are registered. Use "Check-A-Charity" at www.FloridaConsumerHelp.com or call 1-800-435-7352 to verify a charity's registration status and to check their financial information.